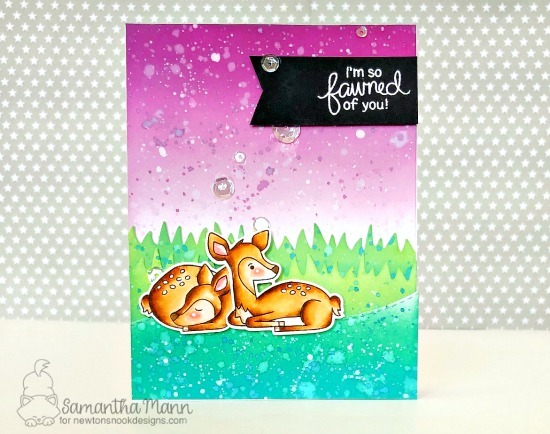 Today have an adorable deer card by Samantha! We just love the vibrant colors and the sweet little scene she created! She started out using two of the deer from the Deer Friend Stamp Set. She colored them with lovely highlights and added pink cheeks too! Then she used the coordinating Deer Friend Die Set to cut them out and nestled them together on her card. 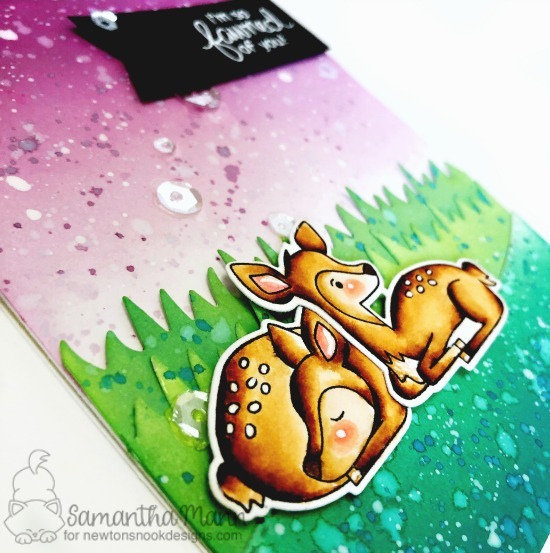 She cut the layers of grass and hill using our Land Borders Die Set and used distress inks to add all that gorgeous texture to the grass and to the purple sky! She finished the card out by embossing the "so fawned of you" sentiment onto a black banner and added it to the corner.